This week, I've had a huge color crush. From pink on pink to even a bright green! I wanted to share a few sales this weekend that I think you'll love. 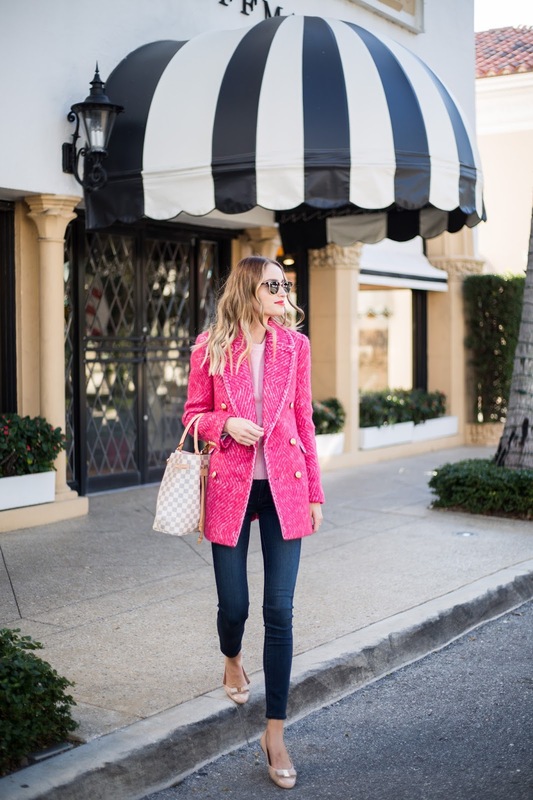 My pink coat and sweater, along with other great items are 30-40% off with code "FESTIVE"
25% off tops + free ship over $150 at Anthropologie, use code "LAYERS"
Pottery Barn is offering 20% off your order with code "FRIENDS"